It shouldn’t be too far of a stretch to say that many male physicians have thought about how cool it would be to star in the next James Bond film at one point in their life or another – and why shouldn’t they? James Bond is a peerless spy, a masculine icon and one of the coolest characters ever constructed. Of course, 007 is a fictional character, but his iconic role has influenced men’s fashion and the idea of how leading men should dress. And while male physicians may not be international spies, they are, in fact, leading men. 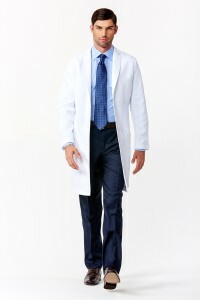 So it seems evident that they should be dressing the part of a leading man, which they can now do in a number of lab coat styles that are designed to fit more like a tailored blazer that you might see 007 wearing while sipping his martini (shaken, not stirred). 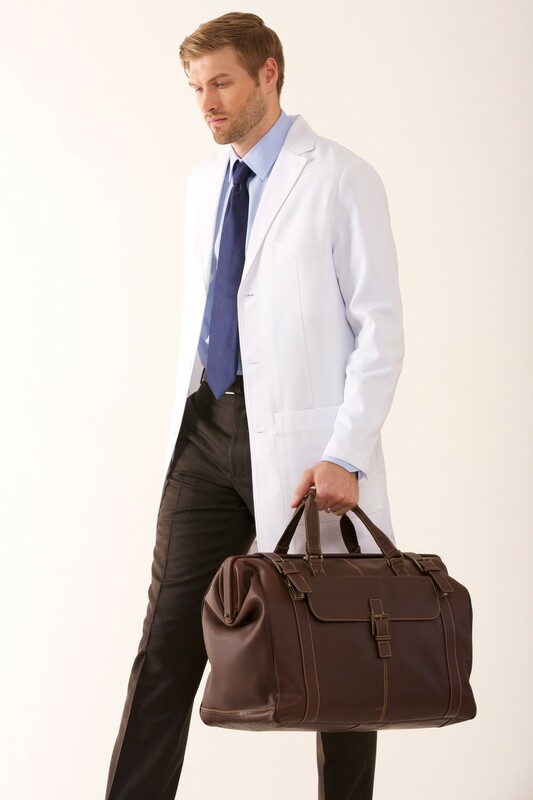 Historically, the only options for traditional male lab coats were designed not for comfort or style, but strictly for function. 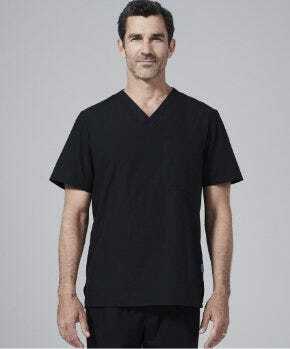 While that might be acceptable for some, there are several practicing physicians who would appreciate a little more than just the basics, and a little more than an average lab coat. 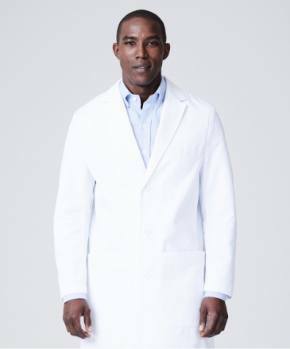 Medelita designs all of our male lab coats with notched lapels that give each of them an elevated and sophisticated aesthetic. For those who are unfamiliar with notched lapels, it is the same type of lapel that James Bond has worn to seven different dinner parties amongst several of his films. The M3 Laennec Classic Fit Lab Coat is a traditional, yet contemporary coat that most resembles a professional blazer or tailored suit jacket. 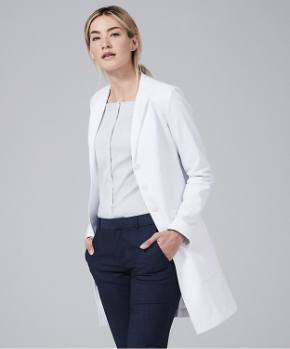 From its notched lapels to its meticulous seaming, the Laennec is a three-button lab coat (previously a four-button coat) with the distinguished fit of a suit. The M3 H.W. 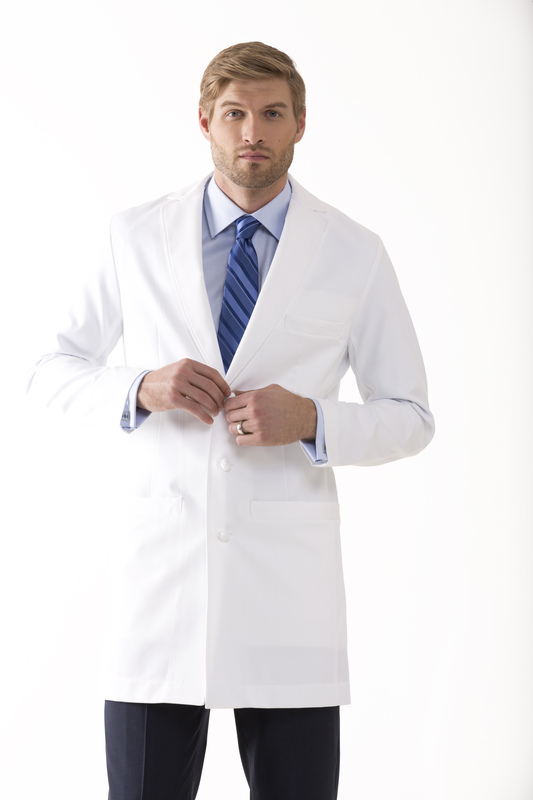 Cushing Slim Fit Lab Coat has a welt pocket construction and its on-trend tailoring complements the masterful craftsmanship. 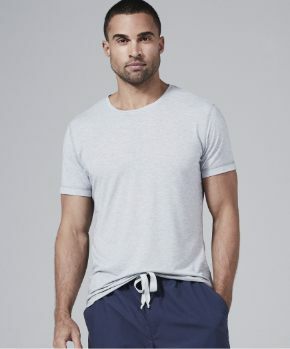 This trimmer on-trend look combined with precision tailoring and performance fabric amount to a three-button lab coat designed for those with impeccable taste. The M3 J. Hunter Knot Button Lab Coat has handsome knot buttons and a back waist belt that evokes a men’s trench coat. 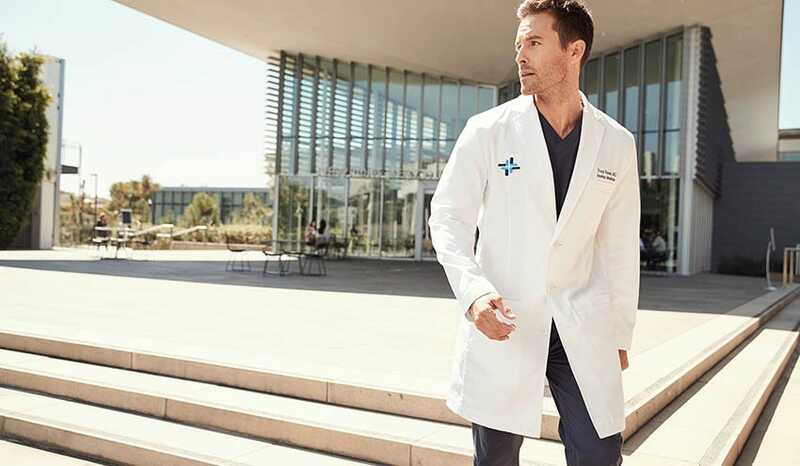 These classic touches add a stylish sophistication to this classic fit lab coat—a sophisticated blend of modern and traditional features. 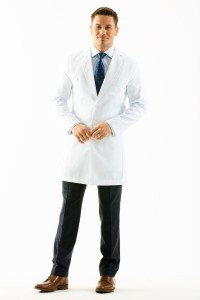 Finally, the M3 E. Wilson Slim Fit Lab Coat looks like a tailored suit with double back vents and slim fit silhouette. European styling informs the E. Wilson’s slim shape while design ergonomics ensure ease of movement. 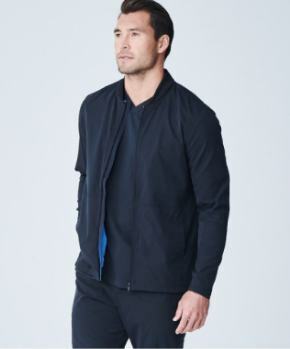 Factor in the performance fabric and you have a coat of true distinction.